1969/1970. This lot consists of an unlabeled, undated metal acetate of the “Hey Jude” album. 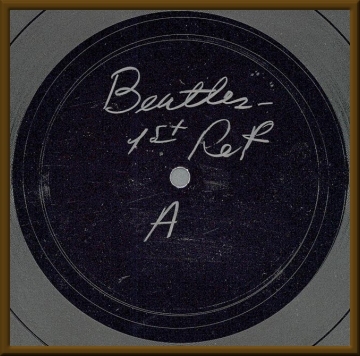 Crayon writing on label area says “Beatles 1st Ref”, indicating that this may be the first acetate cut of this album. [The] acetate appears to be the released versions. Also included is the Bell Sound Studios LP LP Disc VG, Cover M-.